Get your short set collection correct this Summer season with the sharpest looking mens shorts sets by Montique. These short sets have all visual impact you could ask for when it's time for you to rock a stylish short set. 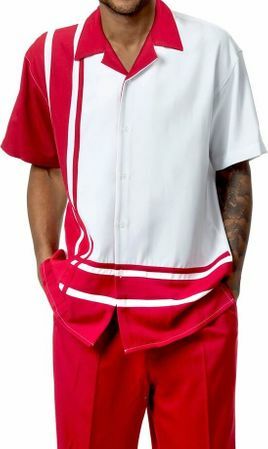 This red and white panel front set features knee length shorts in a regular fit. Made of soft poly fabric.